Leanne Davis is not only the current President of Yoga Australia and Yoga New Zealand, the peak professional bodies for setting standards and advocating for Yoga teachers and Yoga therapists in Australia and New Zealand , but also serves on the Certification committee for the International Association of Yoga Therapists based in the USA. Having completed her first Yoga Teacher training with the Sivananda Yoga and Vedanta Forest Academy in South India in 1988 she has taught Yoga consistently from that time. Since 1996 Leanne has studied extensively in Yoga teaching, Yoga therapy and Vedic Chanting in India and Australia in the tradition of Sri T. Krishnamacharya. She is the founder and principal teacher of Viniyoga Australia. 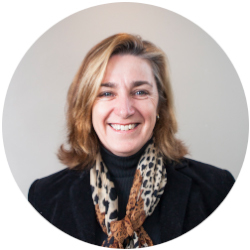 Leanne has worked in complementary medicine for 35 years and has a Bachelor of Health science in Acupuncture. She is a practicing Yoga teacher , Yoga teacher trainer , Yoga therapist and Acupuncturist residing in Brisbane, Australia.